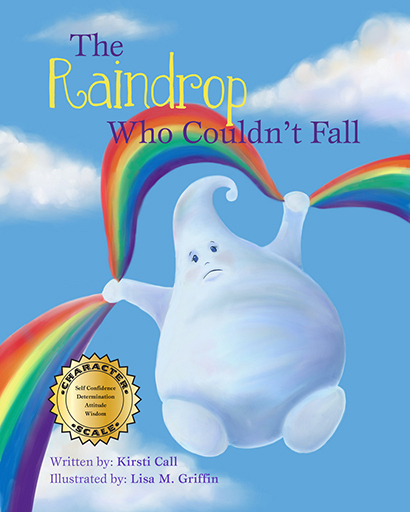 I'm thrilled to announce that my picture book, The Raindrop Who Couldn't Fall, came out on December 15, 2013. Will the book be available exclusively through Character's website, or will Amazon and book stores carry it also? Amazon and book stores will carry it also! This is just amazingly GREAT! Looks to be a charming book, LeeAnn and I can hardly wait to read it to our grandchildren when we return from Guatemala. Gee, will you be publishing the second edition in Spanish? Congratulations on the book and the site. It looks great! Hey Kirsti! The book and your website look great. The umbrella and those pink boots are tres chic! Congratulations. Looking forward to seeing the finished book. Your kids must be so proud of their creative mom! Kirsti, what a wonderful website! Great photos, great book cover, great site! This is very cool! Congratulations! Kristi, I love the premise for the new book. I'm looking forward to reading it to our 5 kids! See you at dance next week! I can't wait to hold this book in my hands! I am so proud of you!